Garrett T67 (67mm/84mm) compressor wheel, .70 A/R T04S compressor housing with 4.0 inlet and 2.5 outlet slip-on connections. Also Known as the T04R, T4 flanged P Trim, (Specified) A/R Turbine Housing with standard 3 V-Band discharge. Other A/R's available. 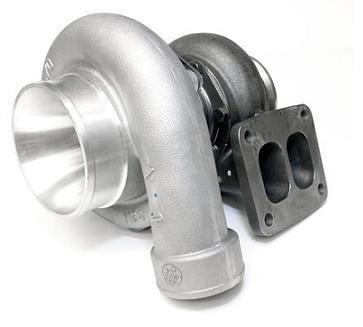 Popular 700 to 750 HP turbo due to quick spool.